Digital Britain – where are we today? 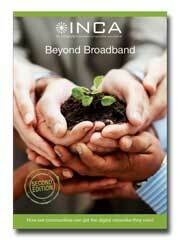 We have a number of initiatives that seek to target areas of market failure in next generation broadband. While some limited funding is available through, for example, BDUK and various European funds, it is too soon to tell whether this funding is sufficient to address the challenge of ensuring that next generation broadband gets rolled out across the country. Whatever investment takes place the policy test should realistically be: is public sector investment future proofed. More fibre in the diet keeps businesses going? If there has been any early benefit for business users from the UK Government’s launch of the Digital Britain paper in 2009, it has been the apparently stimulating effect it has had on the enthusiasm of carriers for providing services over fibre. For some of the larger players, BT in particular, this has been more like a Frankenstein lightning bolt than a gentle prod. Where once established networking companies talked of ‘providing high speed broadband if there is sufficient demand’, there are now more blanket coverage statements.